A lot of CAD (computer aided design) software are available on the market. These 3D programs could really help you in your daily work for various purposes: from visualization, simulation to 3D printing, the benefits of CAD programs are numerous. We know it, using 3D modeling software can be quite expensive, and you may be don’t want to spend a fortune to use the 3D technology. We understand it! In this blog post, we are going to give the best tips to choose the best free CAD software! We also made a selection to help you make your choice and choose the best software package. Why do you need to use 3D CAD software? These programs could be a great asset to your company, as they really offer new possibilities. It can improve your work and be helpful no matter what is your activity sector. Thanks to CAD software you could work on your product design, do simulations and get impressively accurate 3D visualizations. CAD applications are almost endless. You could use these programs in order to get amazing 3D models to 3D print and prototype or produce your project. How to choose the best free CAD software? There is a lot of CAD programs available on the market and you might be a bit lost. In order to make the best choice possible, you will have to ask yourself the good questions. You can find programs for every level of experience. Are you a beginner, intermediate or advanced user? Some software can really be difficult to use, with a lot of different features and complex interface. Even when it comes to free CAD software, you can find really complex and technical programs. Your level of expertise will be the first criteria you will need to take into account while choosing your 3D program! In this blog post we are going to make a selection of 3D software classified by the level of experience needed to use it: for beginners or for experienced users! If there is software for all levels of experience, there is also software for all different industries. From the medical sector to architecture and fashion, you can now find dedicated software for all sectors. Indeed, each of these sectors has specified programs. Most of the time, software targeting a specific sector aren’t free. However, you will be able to find a free 3D modeling software with all the specific features you need for your 3D project. Indeed a lot of other parameters can be taken into account: Do you need parametric or direct modeling software? A parametric modeler allows users to modify easily a design and navigate through the model history. Would you prefer to use cloud-based software? Cloud storage could be a perfect choice if you need to improve your data management, and it is avoiding to deal with complex CAD packages. You will have a lot of criteria to consider while choosing your CAD programs. We are going to give you a hand with your choice, we made a selection of the best free CAD programs actually available on the market. You never used CAD technology before and you want to start with an easy program? Here are free CAD software for beginners and for kids. This 3D modeling application is integrated into Windows. Thanks to a simplified interface, 3D Builder can be used by anyone. A library is available, where you can choose among already made projects. This program is really simple to use and doesn’t offer a lot of options but still allows you to work on STL, OBJ or 3MF files. However, if you are looking for a program to get an initiation to 3D modeling and 3D printing, you definitely have to try it out. This program is perfect if you really have no previous experience with 3D, but it is also a perfect software for kids. Some features are specifically designed for schools, making this software useful for educational purposes. Indeed, it is a good introduction to 3D modeling. As this program really works as a building game, it is fun and allowing to start easily with CAD. 3D Slash software offers an access to basic features in an intuitive way. This software is allowing to start an STL or OBJ file, to sculpt shapes and manipulate your 3D model quite easily. This program is even including a VR view! 3D-Crafter is a free design software developed by Amabilis Software. It is an intuitive CAD program, thanks to its drag and drop approach. It will enable you to create drawings and animating 3D objects. Even if it is a free and easy-to-use software, 3D-Crafter is really allowing to create complex 3D models, but if you want, you can go further with a pro version for game development and realistic rendering, but this advanced version is not free! However, this 3D-Crafter free version can help you make your first steps with 3D modeling with its intuitive interface. This CAD software is interesting but there are different versions available for this program, but business solutions are not free. However, if you want to get started with a free and browser-based version of this software, it is possible. You will be able to create your 3D project from scratch, import a 3D model or check if you find what you want in their library and customize it. Leopoly is an easy 3D creation platform and it also includes some great VR features, which could even be more developed in the future. 3D sculpting software can quickly be really expensive and a bit difficult to use if you are not used to it. Hopefully, there are some exceptions and SculptGL is one of them! This is a browser-based solution allowing you to begin with all the standard 3D sculpting tools like brush, inflate, smooth, etc. There is also a possibility to start working on textures and painting using this 3D sculpting program. SculptGL is also allowing to work on multiresolution sculpting, dynamic topology and voxel remeshing with great algorithms. Do you want to use Sculpt GL to prepare your 3D printing project? Check our SculptGL tutorial. Feel free to upload your 3D files on our online 3D printing service once your 3D model is ready! Are you looking for a free CAD software in order to develop 2D projects? LibreCAD is made for you. It is an open-source program available with Mac Windows and Linux. It is really easy to get started with LibreCAD as no subscriptions, license costs or annual fees are needed. This 2D CAD solution is developed by a dedicated community, and you could totally be part of it as well! This 2D software can be used to create elaborated drawings, 2D drafting, or 2D projects for laser cutting purposes. Here is another 2D CAD software! If you need to create 2D drawings, QCAD might be the perfect choice for you! Quite similar to AutoCAD, this software will be great for beginners needing to work on 2D CAD projects. As you can see on the following picture, this software can be used for mechanical applications, but it can also be used for architecture projects to develop blueprints! K-3D is powerful and flexible open-source 3D modeling and animation software. This free CAD software is great for beginners, including an advanced undo/redo system, ensuring you to go back. It is an artist-oriented program, with a parametric workflow quite easy to understand. It also has great visualization features, which can be useful if you work in architecture, for example. LeoCAD is an easy to use software which could be really useful for educational purpose. 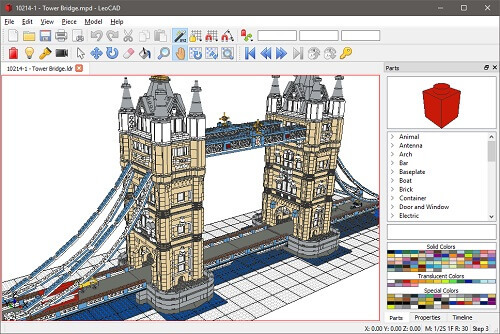 This program is allowing to build virtual designs using LEGO bricks, a perfect way for kids to start with 3D modeling. It is well-suited for large models with a lot of parts as you can see on the following picture. This program is good for beginners in need of a 3D modeling introduction, but it will also allow you to use advanced features. It is an open-source software, anyone can contribute to it and add new features. Here is an interesting open-source 3D modeling software, it will perfectly suit people with no experience. Indeed, the interface is really accessible for beginners but allows to use a wide range of advanced tools. It has some powerful 3D modeling tools and a customizable user interface and a built-in Auto UV mapping facility to add texture to your model! This advanced subdivision modeler is powerful but also easy-to-use. 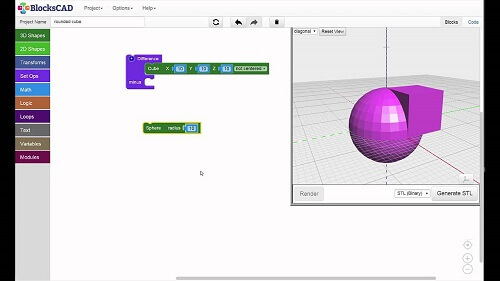 TinkerCAD is a browser-based program. No need to download it, you can access it quite easily and start your 3D design and 3D modeling project. TinkerCAD is a great introduction to 3D software, perfect for education. Without any 3D modeling experience, this program will allow you to give life to your ideas. This app is working by placing blocks one by one in order to create the object you want. It has a user-friendly interface making it easy to use the different 3D tools and create your own 3D project. Check out our tutorial to learn how to use TinkerCAD. This program is specifically made for education. It is a block-based interface, made to help students of all ages. It will encourage kids to learn maths thanks to a fun system. This cloud-based software is working like OpenSCAD, but is way easier to use. It’s a great way to start with computational thinking and coding concept. 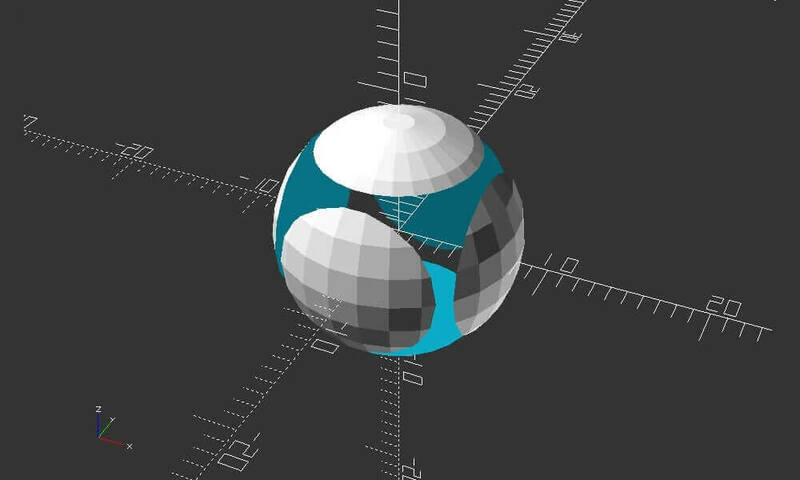 Antimony is a 3D parametric software. The workflow is pretty intuitive which makes it more suitable for beginners than complex parametric software such as OpenSCAD. Even if this software is not necessary for really experienced users, you should already know a little about 3D modeling to use this program. 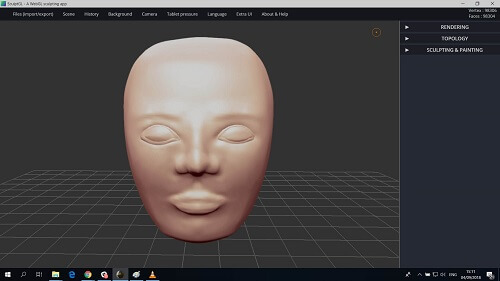 While using this 3D program you will have to connect nodes in order to create the shape and define your transformations. Antimony is allowing to generate really complex 3D models. Meshmixer appears to be a really useful 3D software for 3D printing or even to elaborate some new designs for your products. It has a lot of 3D tools, such as 3D sculpting tools, remeshing or mesh smoothing features. Now we are going to focus on software for experienced users. It doesn’t mean that these programs are all difficult to use, but you need a previous 3D modeling experience to start using them in a good way. This 3D modeling program can impress a little bit at the beginning. OpenSCAD has the particularity to not focus on the artistic aspect exclusively. It is a perfect choice for elaborated projects. Thanks to the use of Constructive Solid Geometry (CSG) and the Extrusion of 2D outlines, this software is intuitive. It is great for simple shapes that are already parametrically defined. It is clearly not an interactive modeler, but more a 3D compiler, completely based on description language. OpenSCAD is not for everyone, but real coders will appreciate it. If you want to use this free software for your 3D printing project, don’t hesitate to check our OpenSCAD tutorial. Blender is a well-known computer aided design software, it is a very powerful mesh-based direct modeling software, and not a parametric one. Blender is even used by professionals to develop video games or animation. It is quite similar to software such as Mudbox or ZBrush, and it is not really suitable for beginners. This program is amazing for artistic use, with great software tools such a sculpting, rendering and fast modeling. This is a perfect software if you need to create 3D printable 3D models, as it is also including CAD features to repair your meshes. It is allowing to avoid bad surprises once parts come out of 3D printers. 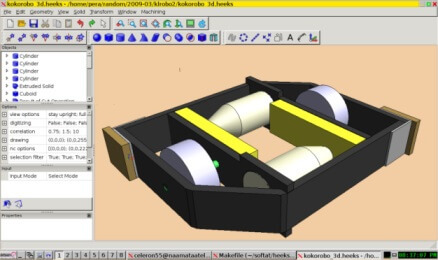 FreeCAD is an accessible and flexible open-source parametric 3D modeler. This program reads and writes to many file formats which makes it a convenient program to integrate your workflow. FreeCAD has some great modeling tools, like Finite Element Analysis, or a nice robot simulation module. 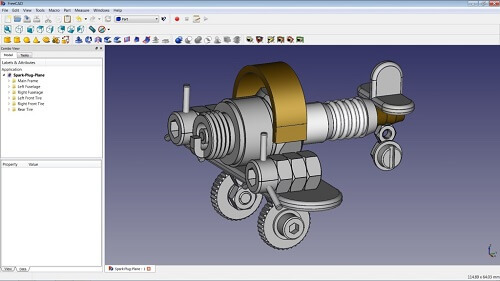 From product design to mechanical engineering, FreeCAD will help you to create your best 3D projects. It can really suit all CAD users and it is constantly improved by a whole community of users. This parametric 3D modeler is developed by Johnathan Westhues. It is a 2D and 3D CAD program, perfect to do some 2D models thanks to great drafting tools, or to elaborate good mechanism designs. Its CAD tools include Bezier curves and NURBS surfaces. SolveSpace is available with Windows Mac OS and Linux. This design software is mostly for a professional use, so if you are looking for a great CAD program to manufacture your part using the 3D printing technology, eMachine Shop could be the perfect solution for you! This program will analyze your design and show you if there are some impractical shapes in your design. Are you looking for a free 3D sculpting software? Sculptris might be a good choice if you want a digital sculpting program. Sculptris features are easy to learn so it is easy to get started with this design software. It is quite similar to ZBrush, except that it is free. You build up levels of details step by step thanks to complete sculpting tools. It has all the software tools you need to work on graphic design. Meshlab is a really complete mesh fixing and edition software with a lot of great features like meshes and point cloud processing. Meshlab is allowing to work on large files, which is great for 3D scan data. This program is offering solutions to reconstruct the shape of an object, to work on color mapping and texturing, but also to clean 3D models. 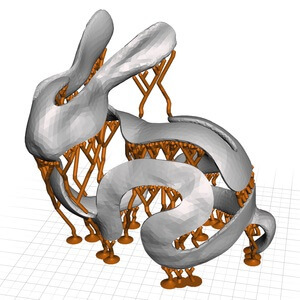 Topological errors can easily be removed which can be useful if you want to create a 3D printable model for example. If you need a little more help, you can check our blog post about how to fix 3D files with Meshlab! HeeksCAD is a 3D solid modeling program. You can use this solution to create geometric objects using 2D shapes. Its properties are quite similar to CATIA or Solidworks, which makes it convenient for mechanical engineering projects. It is a free program, but really complete even if it is not a professional software. It could really be useful for students for example. Art of Illusion is mostly used within the RepRap community. This 3D modeling and rendering software is really good for animation purposes. It is also including a great subdivision surface features. This design software is easier to use than some other similar programs such as Blender for example. This free 2D CAD program is developed by Dassault Systèmes, which also develops SolidWords. Draftsight is specifically made for engineers, architects and designers. You can totally use its free version, but if you want to go further, you can purchase the business software version. 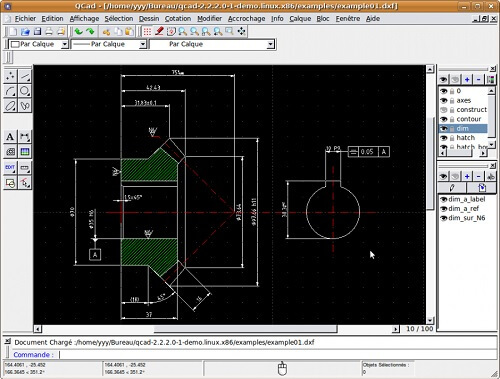 This free version allows you to technical 2D drawings, compare designs, etc. It is a program for advanced CAD users. It is available for Windows Mac and Linux. Here is another free alternative to AutoCAD for experienced users. This is a free drafting software providing high performance and advanced CAD tools. It has a powerful table editor offering a lot of new possibilities. 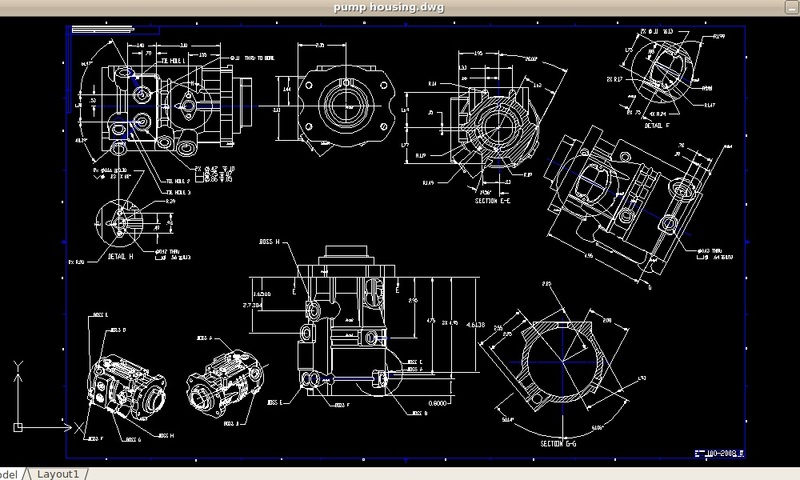 This 2D CAD program is only available for windows. If you need even more advanced features you can download NanoCAD pro or NanoCAD plus, but this free version is already a good and complete program. Watch the following video for a complete presentation this amazing professional CAD software. We hope that this little free CAD selection helped you to make your choice and will help you to give life to all of your 3D printing projects. These are software you can download for free, but other professional software are available on the market with free trials, like OnShape, SelfCAD and many other ones. If you are a student, also keep in mind that a lot of CAD software might be free for you, like Fusion 360 for example. Is your 3D model ready? You can print it using our online 3D printing service, you just have to upload your 3D files and you will get your parts in a few days. At Sculpteo, we are offering you a wide range of 3D printing technologies, 3D printers and 3D printing materials in order to allow you to make the most of the additive manufacturing technology. 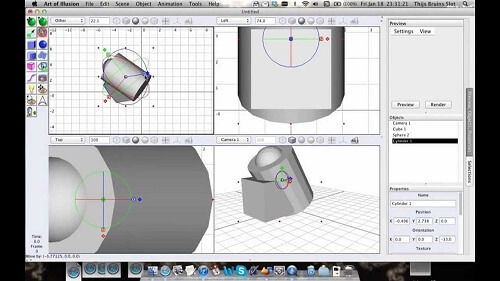 Do you want more information about 3D modeling software? Check out our latest blog posts, and subscribe to our weekly newsletter.